Austin Film Festival (AFF), the premier Festival to recognize the writer’s contribution to film, is pleased to announce its 2016 Jury Award winners, Hiscox Audience and Courage Award Winners, and the Screenplay Competition winners. 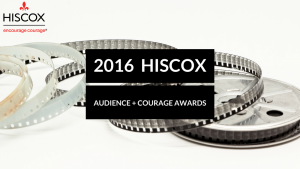 After each Festival screening, audiences voted for the Hiscox Audience Awards, recognizing film favorites among the 2016 slate. One film was selected to receive the Hiscox Courage Award. Voted on by the audience, the Hiscox Courage Award is presented to the film that best embodies the virtue of courage and to the filmmaker who best embraced the risk to share the story. The 2016 Courage Award went to Heaven is a Traffic Jam on the 405. Three-time screenplay winner Static has been acquired by Inkubate, Max Borenstein’s (Minority Report (TV), Godzilla, Kong: Skull Island) new banner focused on character-driven genre material in film and television. Inkubate plans to package the script and then pursue setting it up at a studio or with independent financing. Static is described as a grounded, visionary sci-fi thriller. Widely known as “The Writers Festival,” Austin Film Festival is a non-profit organization dedicated to furthering the art, craft, and business of filmmakers and screenwriters. AFF is funded and supported in part by a grant from the Texas Commission on the Arts, City of Austin Economic Development Department. All attendees and events are based on permitting schedules and are subject to change and/or cancellation without notice. For media credentials, please contact Lauren Kelcher Stevenson at Kelcher@sunshinesachs.com. Badges and passes are available for purchase online at www.austinfilmfestival.com or by phone at 1-800-310-FEST. Hiscox, the international specialist insurer, is headquartered in Bermuda and listed on the London Stock Exchange (LSE: HSX). There are three main underwriting parts of the Group — Hiscox London Market, Hiscox UK and Europe and Hiscox International. Hiscox International includes operations in Bermuda, Guernsey and the USA. Hiscox Syndicates Ltd is authorized by the Prudential Regulation Authority and regulated by the Financial Conduct Authority and Prudential Regulation Authority. The ability of syndicates at Lloyd’s to do business in the USA and its territories is restricted as they are not US-based insurers. The publication and delivery of this information are not intended to be a solicitation by Lloyd’s for the purchase of insurance on any US risk. Hiscox Underwriting Limited and Hiscox ASM Limited are authorized and regulated by the Financial Conduct Authority.